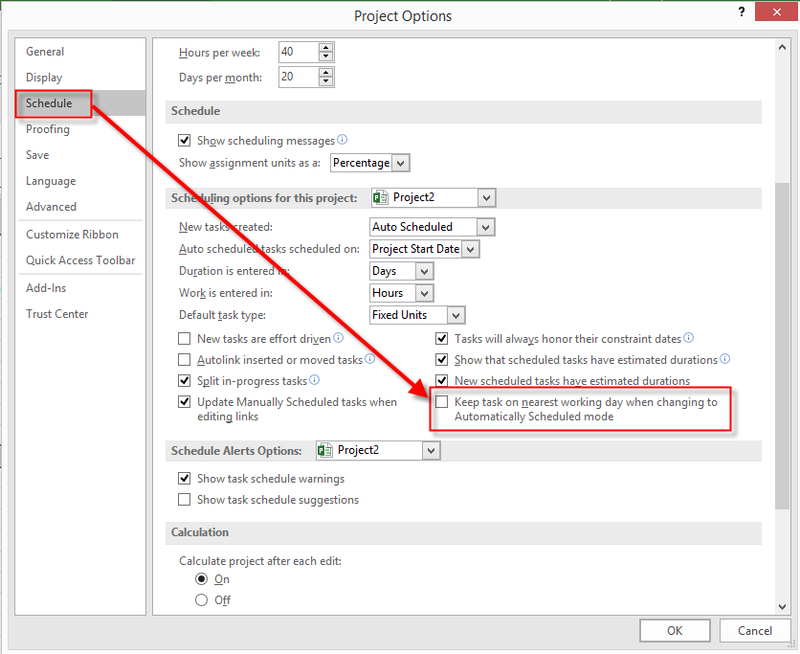 a lot of my Blog readers asked me about “keep task on nearest working day when changing to automatically scheduled mode” option in MS PROJECT! I will show you what is it, and how does it work in MS PROJECT 2016! As you can see, I manually put Start Date for Manually Task to Saturday, 21.11.2015. Now, where can I change “keep task on nearest working day when changing to automatically scheduled mode” option? You can see that Start Date for this Task is changed to Wednesday, 18.11.2015, immediately after Finish date of first Task. But, what if I check “Keep task on nearest working day when changing to automatically scheduled mode” option? As you can see, Start Date for Second Task is now Monday, 23.11.2015 (the nearest working day to previous date, which was 21.11.2015), and this Task has Start No Earlier Than constraint. So, if you want that your Task remain with same (or nearest) Start Date when you change it from Manually to Automatically scheduled mode, this option should be checked. 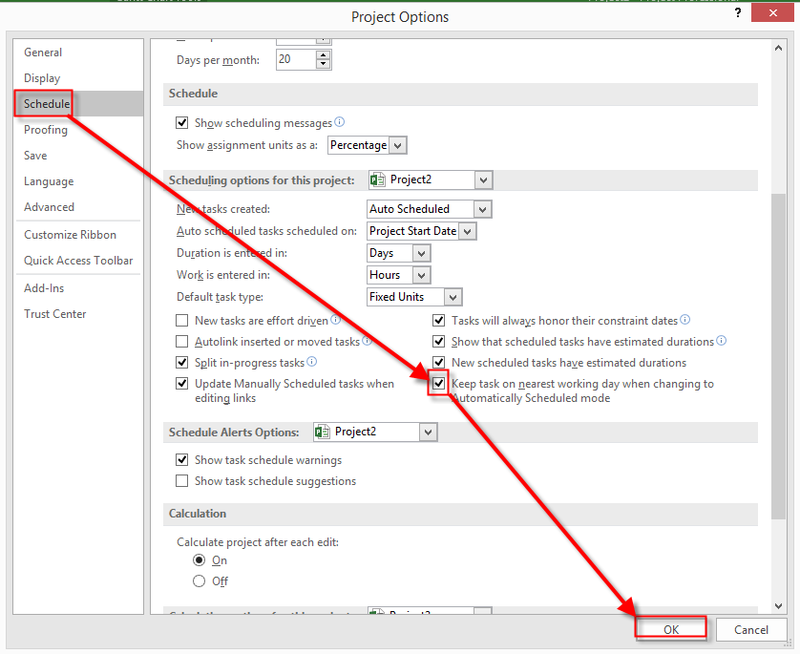 On the other hand, if you want that MS PROJECT recalculate Start Date according to its predecessors when you change it from Manually to Automatically scheduled mode, leave this option unchecked. It’s up to you. As simple as that. 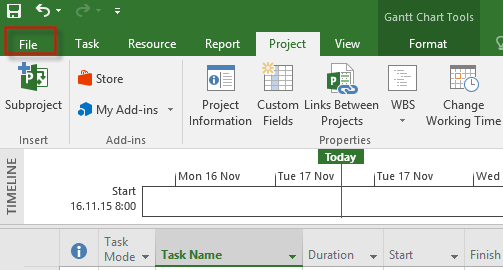 This entry was posted in MICROSOFT PROJECT, Microsoft Project 2013, MS PROJECT 2010, MS PROJECT 2016, PMI, PRoject Management and tagged MS PROJECT 2016 - Schedule. Bookmark the permalink.